He has been invited at various times to lecture to the Companion Animal Behaviour Therapy Study Group, BSc Animal Behaviour Students at Bishop Burton College and Myerscough College, and Pet Rescue/rehoming Centres, including Battersea Dogs and Cats Home, Merseyside Dogs Trust and Wood Green Animal Shelter. He is currently a visiting lecturer on Newcastle University’s MSc in Applied Animal Behaviour and Welfare. 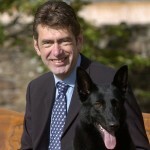 David’s unique blend of practical experience and theoretical knowledge of canine behaviour was a useful grounding when he transferred his skills to dealing with pet dogs as one of the UK’s leading canine behaviourists. As a legal expert witness, David assesses the danger posed to the public from individual pit bull terriers (a UK prohibited breed) and other types of allegedly dangerous dogs, saving many treasured pets from compulsory destruction orders. 1. How to Change Predatory Chase Behaviour in Dogs. Throwing a ball for a game of chase is an enjoyable and rewarding experience for many owners and their dogs. For other owners canine chase behaviour turns into a nightmare when their dog chases joggers, deer, cyclists, cars or sheep. When their dogs choose what to chase it can compromise owners financially, cause the target severe injury or even death, and threaten the life of the dog. This presentation looks at the reasons for the problem, the more effective solutions and how to control the behaviour, and complements David’s popular book “Stop!” How to Control Predatory Chasing in Dogs. 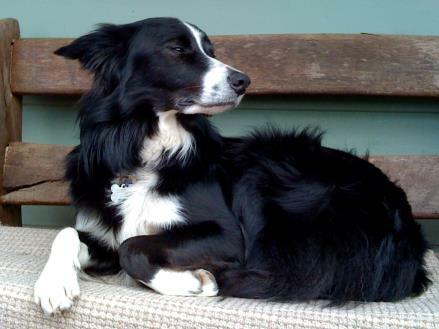 Behaviour and training problems are often directly linked to the expression of normal behaviour patterns of the domestic dog, but what is “normal” domestic dog behaviour? 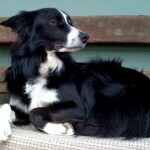 This presentation explores the true nature of dogs, how they maintain emotional balance, how their inherited patterns of behaviour contribute directly to their ability to cope with modern life, why training and behaviour problems develop, and the principles that can be applied to change those behaviours for the benefit of dog and owner alike. Including behaviour problem case studies, anecdotes and the opportunity for audience discussion of some of the most effective solutions. 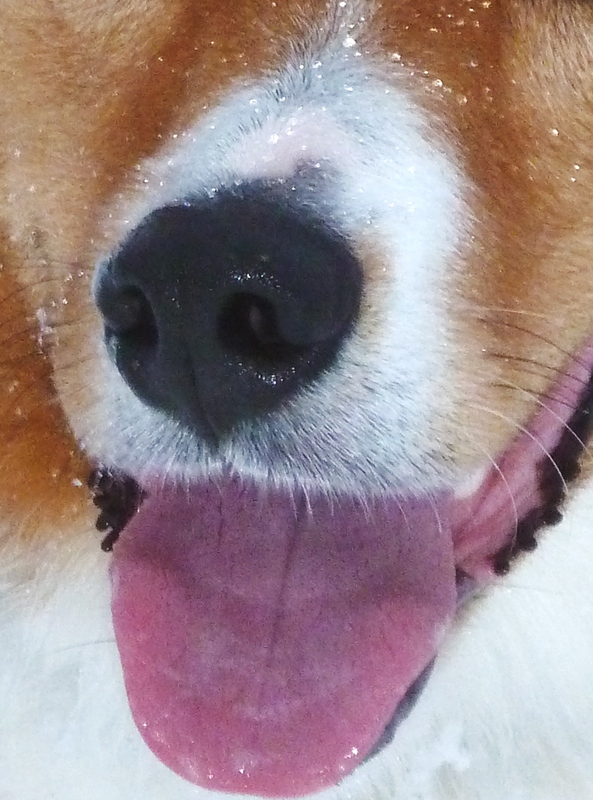 We all know that dogs’ noses are so much better than ours, and this presentation shows how we can develop understanding and skills used by professionals to have more fun with our pets, providing mental and physical stimulation for us both. There are three skill areas in which we can develop our own skills: Tracking (trailing); Searching for people; Searching for property. 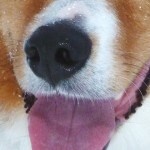 Whether you train for work, competition, or simply for the huge fun that you and your dog can have together, understanding how our dogs observe the world through their noses helps us to get the best out of their remarkable abilities. Ever wondered what ‘scent’ actually is? Why some dogs are better at searching than others? What the ideal scenting conditions are? How to train your dog to find lost money or your children? 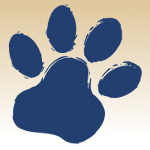 This presentation explores the theory and practice of training for scent with dogs. The problem of dogs biting people and fighting other dogs is getting worse. Every year the NHS dog bite figures increase, court cases for dangerous dogs are at an all-time high, the government is still failing to tackle the issue of “status dogs”, postal and other delivery workers and assistance dog users are demanding protection, and behaviourists’ case-loads are full of biters and fighters. Whatever happened to man’s best friend? If you are thinking of buying a puppy or adopting a rescue dog, if you have a dog that has started biting or fighting, or if you would just like to further your knowledge of dog behaviour and training, this presentation provides a complete understanding of why pet dogs become biters and fighters, how to prevent it and how to change the behaviour, including training methods that owners can use with their own pets. There is no need for man’s best friend to also be our worst enemy. 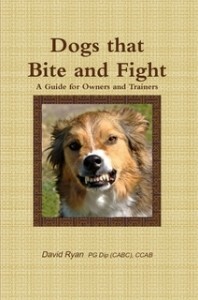 This presentation complements David’s latest book, Dogs that Bite and Fight: A Guide for Owners and Trainers. It is possible, if you have a suitable venue, to expand this presentation into a two-day seminar using the second day working with a small number of selected delegates to illustrate the theory in practice, helping them to introduce scent games of their choice. We are in the process of putting together the programme for next year right now. Most people are asking for either Dogs that Bite and Fight or Predatory Chase, so I guess they will feature most prominently, but we won’t exclude the Scent and Holistic ones. If you keep an eye on this link, we’ll publish the list as it forms.